Entrepreneurship. Small Business. Franchising. : Check out my new book! The following press release went out on the new book that Jeff and I co-authored. Already sold many, many copies! 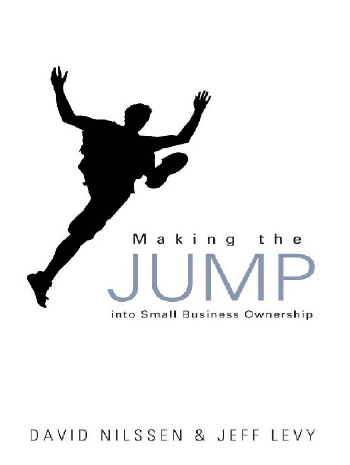 Two local entrepreneurs, David Nilssen and Jeff Levy, announced the release of their book “Making the Jump into Small Business Ownership.” Nilssen, cofounder of Bellevue-based Guidant Financial, and Levy, an Entrepreneur’s Source Franchisee, provide practical advice as well as stories of ordinary people doing extraordinary things through small business and franchise ownership.